A genus of more than 1,000 plant species, Acacia is a flower emblem of the country. Collectively, the Australian species is known as wattles. They are common in coastal zones, dry lands and mountains. The plant species have yellow buds, which liven up gardens. Boiling water treatment can stimulate growth and propagation. Most wattles are early spring- and summer-flowering. They tolerate full sun exposure and have a fast growth rate. Caring for them requires the use of natural fertilisers and regular watering. A number of bluebell flowers naturally occur in the country. One of them is the Royal Bluebell, which happens to be a flower emblem of Australia because of its native occurrence. Its rich colour and stunning appearance make it a popular garden bloom. Since it’s tolerant to dry weather conditions, it only needs watering if the soil is too dry or when there is drought. Using organic chicken manure as fertiliser during early spring enables the plant to grow into a beautiful display. This flowering plant grows in a variety of colours, which enhance any garden. 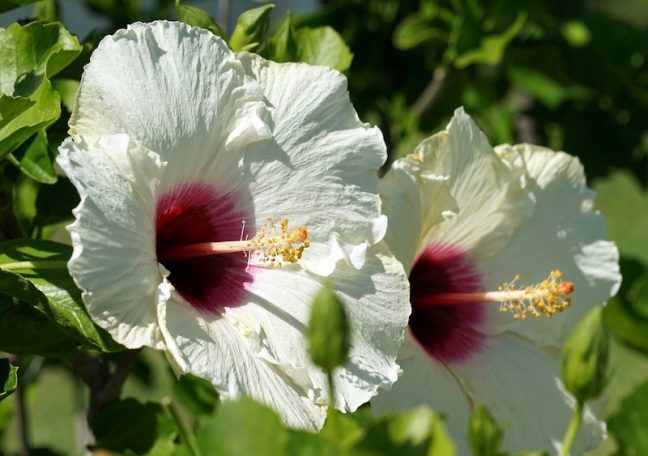 Hibiscus thrives under full sunlight, and they adapt well in growing in containers. It needs at least 1 inch of rain, or the watering equivalent, every week. It’s likely to retain moisture for a very long time; thus, requiring little maintenance. But, it is sensitive to cold environments. If the temperature falls below 30 degrees, putting it indoors or in a container is advisable. These are just a few of the lovely blooms you can add to your garden. By feeding, watering and fertilising them, as well as controlling weeds and pests, they are sure to liven up your place. We at Perth Gardening can help you have, and keep, your dream garden. With our reliable and environmentally-friendly services, your blooms will stay healthy and beautiful, giving you a flower display you can be proud of. Visit our website or contact us for more information.